“Murrah Building Aerial” by US Army Corps of Engineers. Hronek, Sheri (August 2001). Near panic gripped federal law enforcement agencies in Tulsa. An extraordinary meeting took place later that day between ATF RAC David Roberts and the local US Attorney, Steve Lewis. The meeting violated strict bureaucratic protocol whereby Lewis would normally not have deigned to meet with a lowly RAC, and would have met only with Roberts’ Dallas-based regional ATF boss. —ATF terminated CI-183 (the Tulsa debutante) as a paid Confidential Informant. —ATF terminated its investigation of White Aryan Resistance (and Elohim City). —The FBI continued its investigation at Elohim City, unimpeded by the ATF. (A planned visit to Elohim City by CI-183 for the week of March 5-11 did not take place, or, if it did, no records of the visit have been released). —the FBI took over sole investigation of Elohim City to protect its snitch. This writer was working as a consultant to 60 Minutes II on September 8, 2001, and made notes of Mapes’s telephone call to an attorney representing Terry Nichols, the man who was charged and convicted as McVeigh’s partner in the Oklahoma City bombing. A planned visit with Roberts and his attorney in Tahlequah, Oklahoma, for September 12, 2001, did not take place due to the 9/11 attacks. Subsequent attempts to arrange an on-the-record interview with Roberts have been unsuccessful. EC’s [Elohim City] Security Officer is STRASMEYER, an illegal alien from Germany who is a former West German Infantry Officer. MEHAUN [Dennis Mahon, a long-time major figure in the national white supremacist movement and one-time FBI informant, currently serving time for a letter bomb in federal prison] has talked with CAROL [CI-183] about targeting federal installations for destruction through bombings, such as the IRS Building , the Tulsa Federal Building and the Oklahoma City Federal Building… [Note: CI-183 later said this text was wrong. Strassmeir the German had mentioned the three specific buildings, not Mahon. This would not be the first time that the FBI has burned a lesser important snitch to protect a more valuable one. 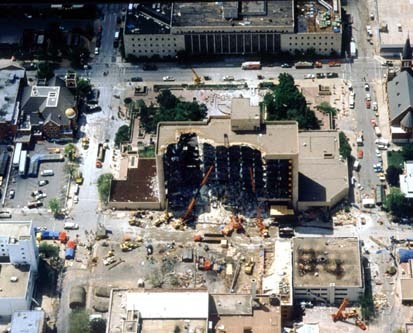 Note that last paragraph: here is the FBI reporting that Strassmeir and Mahon, his White-Aryan-Resistance buddy, took three reconnaissance trips to Oklahoma City in the months before the bombing of the Murrah Federal Building, a structure which one or both had reportedly spoken about destroying. But that was not how the FBI saw it. There is compelling evidence the FBI actually aided and abetted Strassmeir’s return to Germany (in January 1996), without his having been even informally questioned, much less officially interviewed. 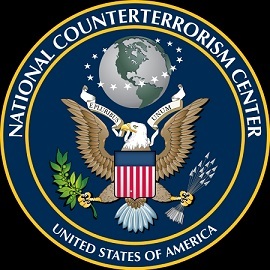 The US Counterterrorism Division made it impossible for Strassmeir to return to the US—so that he couldn’t be questioned about his involvement? Subsequent to Strassmeir’s return home, the FBI responded to some press interest by releasing two short, superficial trans-Atlantic telephone interviews with Strassmeir (conducted on April 30 and May 1, 1996). These interviews completely ignored the information in the April 21, 1995, joint FBI/ATF interview of CI-183, and should go down in history as one of the Bureau’s greatest investigative embarrassments. Alternatively, the Bureau may see it as a great success: for twenty years, its snitch, Strassmeir, along with the Bureau itself, avoided any accountability for his role in an attack that murdered 168 American citizens. With Strassmeir safely back in Germany, the US Department of State’s Counterterrorism Division issued a “Protective Intelligence Bulletin” making Strassmeir ineligible for a return to the US, in case someone like a congressional committee might want to interview him here. These warnings were reinforced on May 24 when Tulsa ATF RAC David Roberts told CI-183’s handler that, “Robert Millar suspected CI-183 of being a confidential informant.” Most likely, Millar’s suspicion was based on information from his FBI handler in what proved to be a successful effort to head off an ATF investigation of Elohim City and its central role in OKBOMB. With every anniversary of the Murrah Building bombing, the mainstream media run touching tributes to the victims and their families. But as memories of the tragedy fade, so does the possibility of peeling back the façade of a cover-up that has served to keep some “inconvenient” truths from the American public. Read Part I of this exclusive story here.